Basic but spacious apartment, equipped with all necessary items for a week's stay. Nice balcony and pool. Daily cleaning was nice. Location close to the seaside and city centre (3 min by car) and to various supermarkets. Supermarket Lidl 10 minutes walk,not to far from beach. Very nice staff! Nice appartement ,most equipment is there,good fridge,cooking items. Only missed a filter or a small espressocan,top make your own filtercoffee or espresso. Very nice and big room with terrace view on the swimming pool. We arrived there straight from the airport and it was very nice to park on the spot, do a quick check in and immediately enjoy an ice-cream near the swimming pool and swim in October :) The place is 10-15 minutes from the beach and a little longer to the city center but it was a pleasant walk for us. Great reception (Miguel was really helpful and friendly). The apartment was nice and clean, with a lovely balcony. 10 minutes walk to a supermarket (Lidl and a local one). The beach is also 10-15 minutes away. The staff were so friendly, and a great sun trap with sun all day on the balcony, close to Lidl 10 minutes Walk and about the same to the beach. The apartment was clean and spacious. Staff were friendly, helpful and attentive. 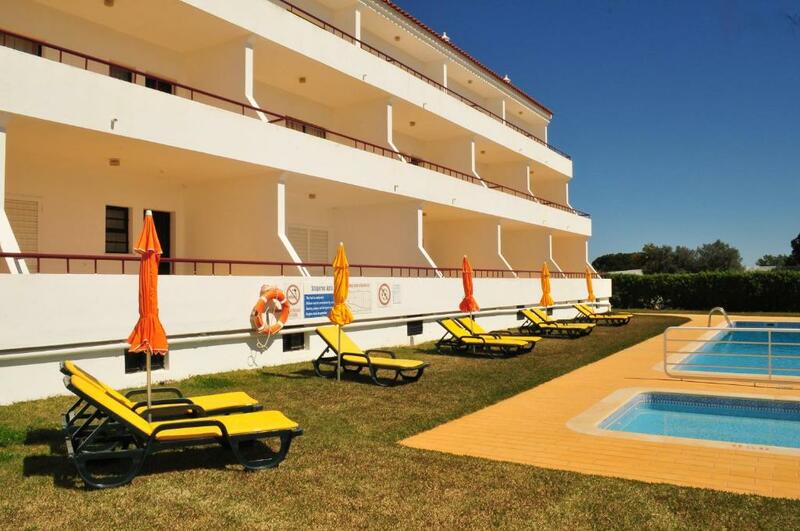 The complex is located equidistance from a supermarket and a lovely beach (10 minute walk). Vilamoura, a more lively town, is only a €5 Uber ride away. The kids pool is perfect for toddlers. Plenty of sun-loungers. Sun on the pool are all day. Lovely terrace. Air conditioning in bedrooms. Comfy mattress. Lock in a great price for Solgarve – rated 8.4 by recent guests! Solgarve This rating is a reflection of how the property compares to the industry standard when it comes to price, facilities and services available. It's based on a self-evaluation by the property. Use this rating to help choose your stay! 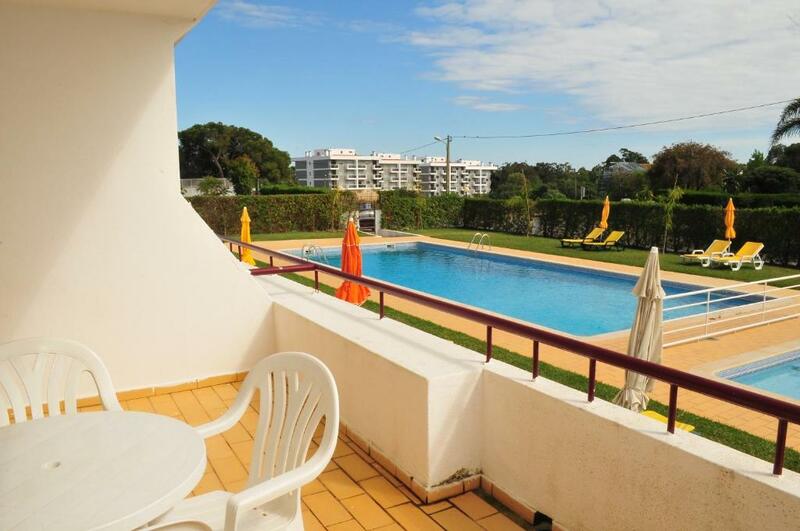 One of our top picks in Quarteira.The Solgarve apartments provide comfortable accommodations just 2,650 feet from Quarteira beach. The property hosts a swimming-pool and separate children’s pool, surrounded by a lawn sun terrace with sun beds. The air-conditioned apartments have a private bathroom, equipped kitchen for guests to prepare their meals, dining area, flat-screen TV and a terrace. The units all feature a pool and mountain view. Solgarve features an onsite bar and a joint barbecue grill. Private parking in underground garage is also available. The Quarteira center is a 2-minute drive and features supermarkets, shops and restaurant options. 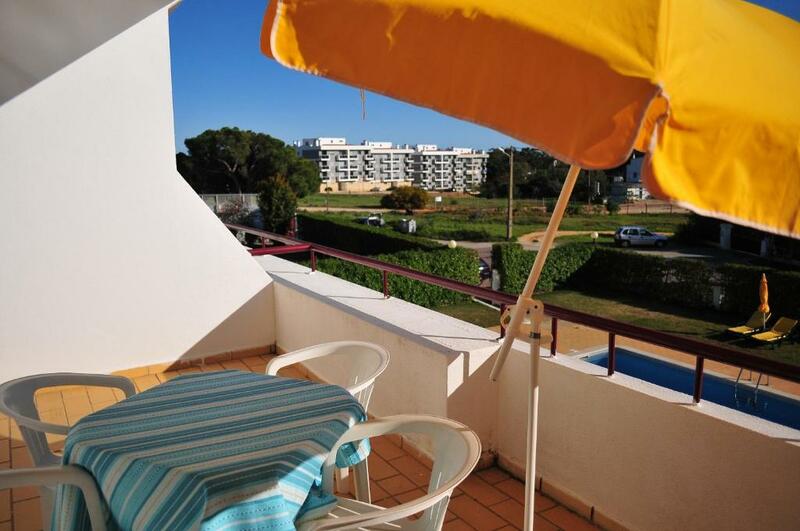 Vilamoura is a 5-minute drive from the premises. There guests can enjoy the promenade by the marina, take in a golf game in one of its courses or enjoy a meal in the local restaurants. The nearby beaches offer a host of activities such as parasailing, water bikes, water ski, speed boat rides, boat cruises and big game fishing. The Aquashow water park is a 5-minute drive from the Solgarve complex. 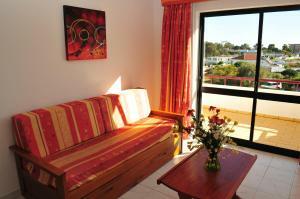 Solgarve is located within a 22-minute drive of the Faro International Airport. 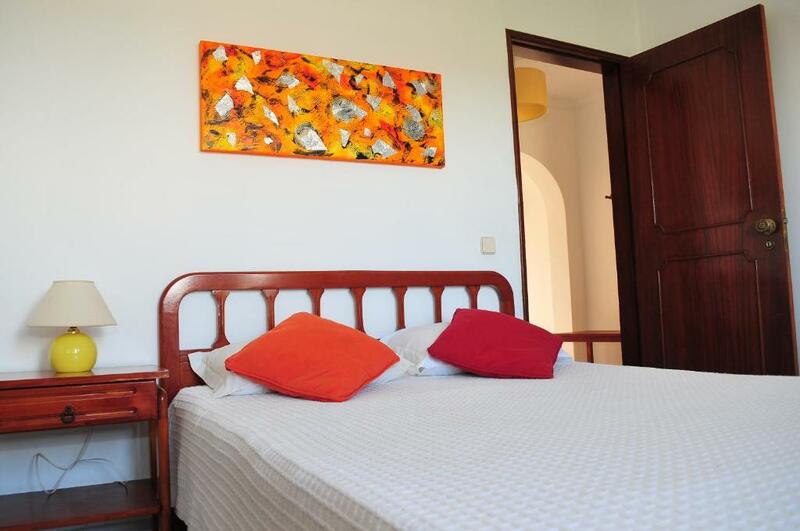 This property is also rated for the best value in Quarteira! Guests are getting more for their money when compared to other properties in this city. When would you like to stay at Solgarve? 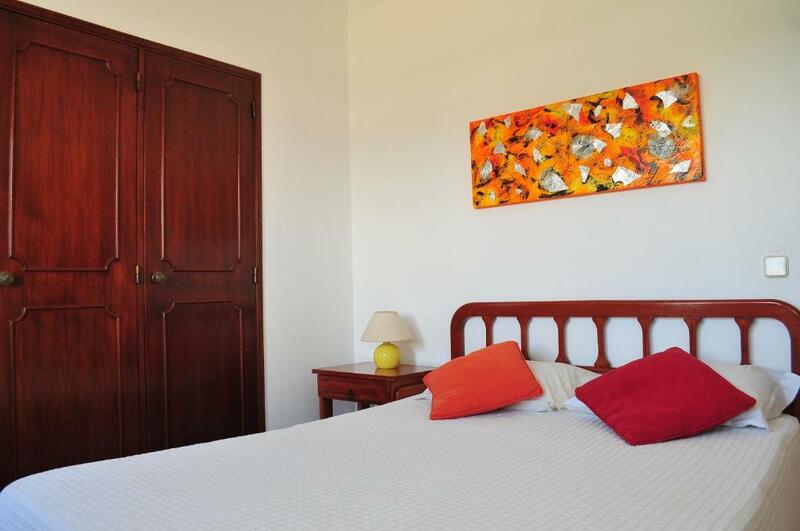 This air-conditioned apartment features a bathroom, dining area, living room and an equipped kitchen. House Rules Solgarve takes special requests – add in the next step! Solgarve accepts these cards and reserves the right to temporarily hold an amount prior to arrival. The apartment would definitely deserve some overall renovations. It wasn’t obvious where check in was when we first arrived. The apartment was bigger than we anticipated. Dog barking nearby during the night. The sound insulation was not very effective. The kitchenette can be improved with some cooking utensils. Kitchen was a bit tired. Air con a little noisy. A bit too far to walk to the beach, town and supermarket in the heat. WiFi didn't always reach the bedroom. Bar/reception not always open. Very outdated needs a lift. Silly things like broken towed rail , kitchen draws without knobs on etc. Pity though the man who runs the place doesn't get his finger out and do a bit of diy. The pool and balcony, and secure car park. Décor a bit dates. Not enough towels for 3 guests, which were clearly announced prior to stay. We got a room on the 4th flour with stairs and we had our mom with health issues and they did not give us another room. There were other rooms available and also the size we needed. Price and stay combination was not fair. It was too expensive for an appartment. Nothing that we could say bad about here just a little expensive for that u do get for one night. But we are also aware of the time of year. Miguel was very friendly and welcoming, he gave us lots of information about the local area. The room was very clean infact a lot cleaner than we expected! The pool was clean and the kids enjoyed themselves. It is a very quiet family orientated place. I would recommend and stay again.